New Delhi, Nov 11: Apparently worried about his government's image, Prime Minister Narendra Modi had a pep talk with his council of ministers, telling them to spread the good word about the government's policies and initiatives at the ground level. 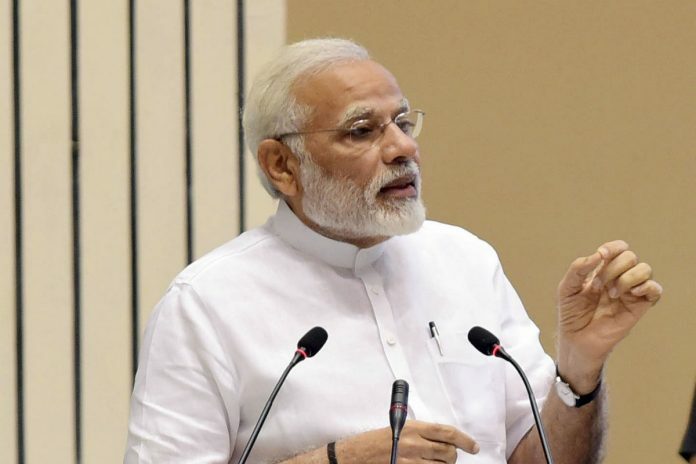 At a meeting of his Council of Ministers on Friday night, Modi asked his colleagues to work hard and ensure that the change in the lives of the people brought about by the government's policies and actions was widely communicated. At the meeting, a detailed presentation by three ministers was given on how various programmes and initiatives of the government had brought about "Ease of Living" in the lives of the people. The meeting also saw a presentation on social media by a top PMO official, sources said. They said the presentation on "Ease of Living" lasted about an hour and had three parts with over 90 slides highlighting the work done by the government in the last three-and-a-half years. The Ease of Living presentations were made by Minister of State for Agriculture Gajendra Singh Shekahwat, Minister of State for Skill Development Anantkumar Hegde and Housing and Urban Development Minister Hardeep Singh Puri. Besides demonetisation and GST, such schemes like Mudra, Digital India, affordable housing and Ujjawala Yojana figured in the presentations claiming that these have made life easier for people. The meeting of the Council of Ministers followed a meeting of the union Cabinet. It came days after India jumped 30 spots to secure a place among the top 100 countries in the World Bank's "Ease of Doing Business" ranking list. Modi dubbed the jump in the World Bank's Ease of Doing Business ranking also as an improvement in the ease of living life, stating that it implied that life had become easier for the country's common man and the middle class. Amid relentless attacks by Congress and other opposition parties over demonetisation and roll-out of the Goods and Services Tax, the government is keen to communicate to the people the impact of its welfare initiatives.